Shipped With Love is a veteran owned and operated business that began as a way for family members of deployed service members to send care packages to their loved ones. We are the only website that allows you to request custom themed care packages filled with snacks, hygiene products,school supplies, protein products or a combination! We understand how important it is for your loved one to know how much you care about them. That’s why we don’t just send it, we ship it with love. Since our humble beginnings in 2013, we’ve opened our shipping destinations to US approved prisons. We ship to anyone for free in the United States along with Army Post Office (APO) and Fleet Post Office(FPO). Shipped with Love also ships to international locations for an additional shipping fee. 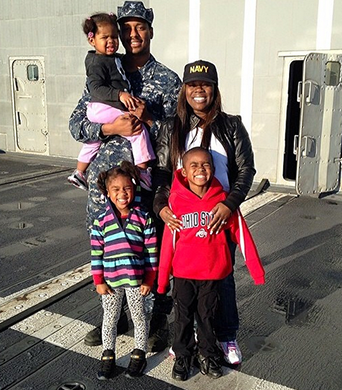 When I was pregnant with my third child, my husband was deployed. In an attempt to send him our love, I set out to the post office with our two toddler children & a growing belly. I was greeted with long line after long line, and eventually two very restless toddlers – not too mention the weariness I was experiencing from such a large care package. I began thinking about how much easier life would be if a service like this was available online. One where I could tell them what comforts of home I wanted in, send them a couple pictures – even tell them what sort of theme I’d like it decorated in – and they would take care of everything else. I searched the internet far and wide, finding something similar to what I was looking for. It wasn’t exactly what I was looking for, but the company did offer some things and it was ran by a military spouse also. After having some rough luck with the customer service, I was extremely frustrated. Finally, after about two years of tossing the idea around, I decided to start ShippedWithLove.com and here I am – looking forward to shipping your love wherever it needs to go! 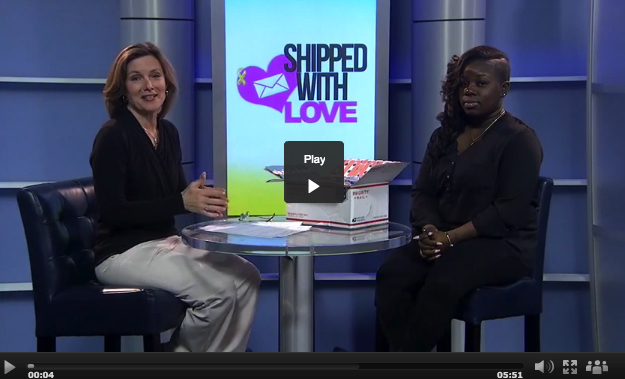 Shipped With Love had the chance to sit down with our friends at News4Jax during the Look Local segment! Check it out!